Contact Us For More Information on Upcoming Events, Tickets, Etc. THERE IS A ONE WEEK VOTING PERIOD - YOU HAVE UNTIL APRIL 21ST TO CAST YOUR BALLOT! !! !only one ballot will be accepted per person; vote for one in each category – if you vote for more – your vote will not be counted!!! In order for a ballot to be counted – you MUST put your name on it. The following is the ballot for the 2018-2019 Drama Season featuring “Noises Off” “Bad Ideas for Bad Television Shows” “Happy Daze,” and “How To Succeed in Business Without Really Trying,” for the End of Year Awards Banquet. Everyone in the department is more than welcome to vote on each category, but we ask that if you are unfamiliar with a particular performance/category that you do not vote in that category. These categories will built in part due to your suggestions. Important: This is NOT to be a POPULARITY CONTEST. Nominees were based on the quality of the performance or contribution to the overall production. All have done an outstanding job during the 2018-2019 Season. Nomination Decisions are based on student suggestions (those that have a majority), audience comments, attitudes, and each person’s level of professionalism, respect and effort throughout the entire duration of the season. Despite the fact that Matthew Shepherd’s murder took place before any of the actors born, the message of the show, that of tolerance and acceptance, is one that very much still resonates today. The Laramie Project is not an easy show to perform, especially at the level demonstrated by every actor on that stage. From the artistic concept, to the staging, lights, sound and projections, to each actors very clear commitment to the story and to the individuals they were portraying, I felt as if they were bringing me into the story, into Laramie. I, along with the rest of the audience, was fully engaged from start to finish, we were laughing, we were crying, but most importantly, we were thinking and in my opinion that is what separates good theater from great. I must say congrats to Mr. Ward and the entire cast, crew and production team for taking on such an ambitious project with an expertise and talent I don't usually see in a high school show. What is Theater all about? will support other academic needs. cooperatively for a common good. 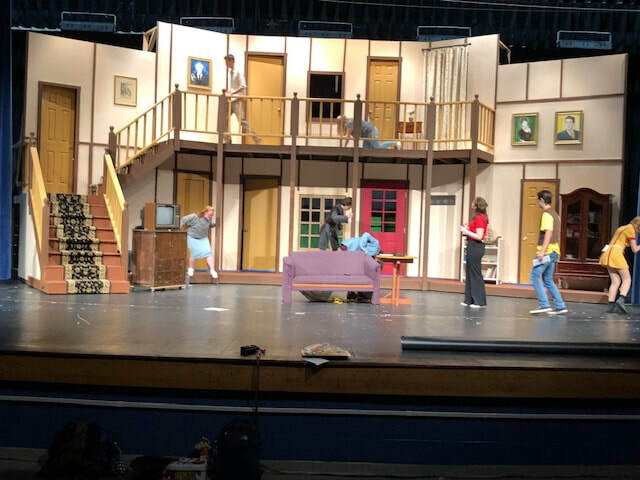 The mission of Urbana High School Theater is to provide an educational foundation which enables all students to grow in skill and confidence as a result of creative expression. Affectionately known as the "F-Wing," many of our students interpret the F as "Family;" in essence, much like Theater has throughout history accepted everyone, so does this department. Accepting each other and working together, students will recognize that it is not the end product that determines success, but the process of getting there determines success in theater. It is the place where students can explore, develop and find their imagination, talents, confidence and creativity without feeling judged. 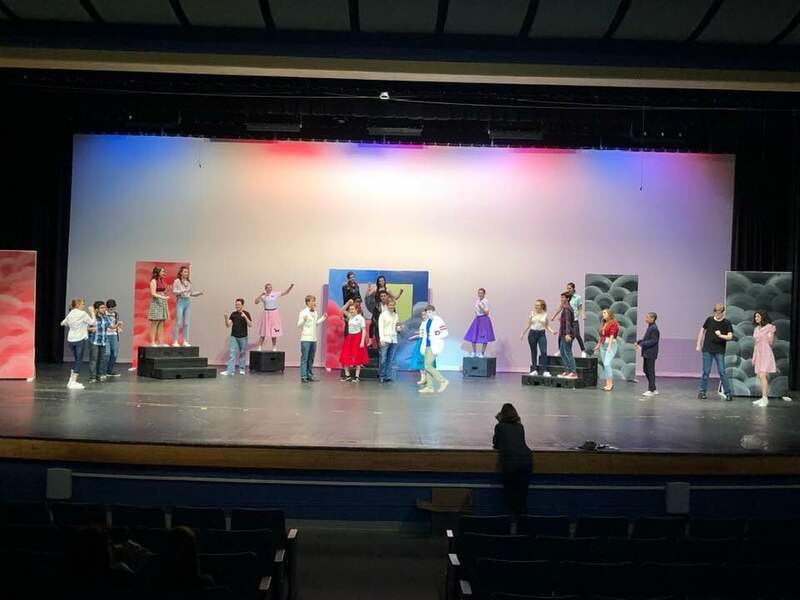 Theater is meant to educate and entertain, and through the process of putting on a production, students will learn not only about the theater, but themselves as well. A Hallway of Memories - The shows of the F-Wing - since the beginning.